I was one of the many who were present at U.S. Rep. John Dingell's Aug. 6 town hall meeting. I heard him give a short "no" answer to the question: "Will abortions be covered in the universal health plan?" Dingell's "no" was a completely wrong answer to this very important question. The Aug. 5 article "New health plan would cover abortion" reported on the Capps Amendment. This amendment would indeed permit funding of elective abortions in the public health care plans should the Hyde Amendment, which prohibits taxpayers' money to fund elective abortions, not be renewed. Moreover, the Capps Amendment would allow the secretary of Health and Human Services to include abortion services under a public option plan. Dingell should have explained the issue honestly. He didn't, and for this he has lost much credibility. 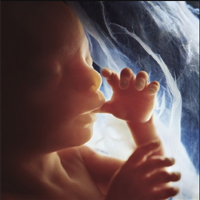 Abortion is not health care; it is the killing of innocent human life.